Great news for those of you who stay at Best Western Hotels and credit those stays to Aeroplan. The current 8x bonus miles that was supposed to end on April 30th has been extended to August 31st! Find out more about this offer here. Gone are the 25% miles awarded on the lowest economy fares as those will now be 50% but on the other hand full fare economy class been lowered from 125% to 100% of miles flown and finally Silver Edge Elite member will earn 15% tier bonus miles instead of 10%. 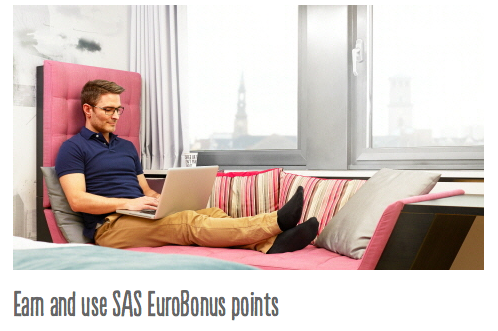 Scandic Hotels are offering SAS EuroBonus members both EuroBonus Points and Scandic Friends points on stays until May 31. Normally you can only earn one or the other. Find out more here. - 50,000 Bonus AAdvantage Miles when you apply for and receive the CitiBusiness® / AAdvantage® Platinum Select® World MasterCard® More... US Residents only Until ?